Whatever your drawing style or media preference, you’ll need some traditional, high quality graphite pencils – and you won’t find a better range than Derwent Graphic. The hexagonal barrel is easy to hold and the pencil sharpens to a good point to cover all your drawing and sketching needs. Showing 3 of our total 4 reviews, with an average rating of 5 stars. 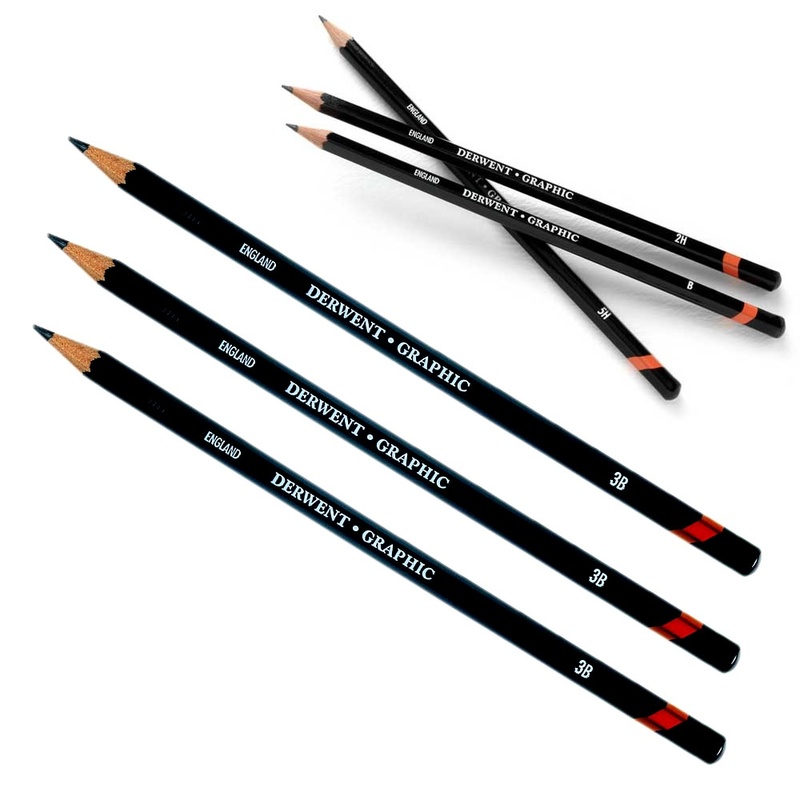 Read all 4 reviews for Derwent Graphic Pencil. Nice soft smooth pencil. Good deal as usual from Crafty Arts. These were purchased as a topup for my supplies, they are my go to pencils for most projects at the start. Good website as you can choose to buy any quantity of an individual pencil instead of mixed sets - ideal for what I wanted. Very fast delivery, well packaged, fair price - I will shop again!